Providing you the best range of restaurant billing software, banquet management and billing software, bar billing software, billing software, coffee shop billing software and eway billing software with effective & timely delivery. Foodie365cloud - Restaurant Billing software has developed for a bar, fast food corner, restaurant, sweet corners, Bakery, ice-cream parlor, Cafeteria, Pizza-Hut, Pizzeria, Home Delivery (based on customer's mobile number) Counter, club, Corporate Catering on a customized concept of KOT ( Kitchen Order Token ) system. This software provides total item sale summary and daily sales summary without any burden. You can maintain stock regularly. Restaurant Billing Software brings the complete solution for managing the restaurant in faster and too easier way. This software genuinely provides you appropriate medium to fast entry and accurate output of the desired input. Foodie365cloud bar billing software with its food wastage & inventory control management feature is developed with an objective to guarantee that any products with expiry or best before date, not being sold to customers from your perspective guided by professionals. Using bar billing software owner can easily view daily transactions from a bar and also check inventory online and manage it. Foodie365cloud used Cloud storage to store data so that bar owner or any employee can view data anytime anywhere or update data. Innumerable features that are very sensitive to the needs of retail companies. Seemingly negligible yet sensitive factors become an organizational and planning challenge. Retail365Cloud has a wide feature index and its billing capabilities have helped many businesses manage customer queues in an organized manner. Here are some of the most important features of the leading billing software. Foodie365cloud coffee shop billing software with its food wastage & inventory control management feature is developed with an objective to guarantee that any products with expiry or best before date, not being sold to customers from your perspective guided by professionals. Eway bill generation for a transporter. We are providing complete software for transport & logistics industry with Eway billing.The GST provision requiring transporters to carry an electronic waybill or e-way bill when moving goods between states. 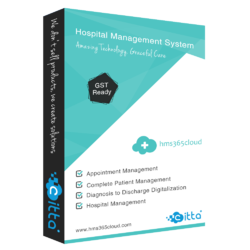 The hospital management billing module is central to hms365cloud hospital ERP software, controlling all cash transactions, department transfers and multi-point billing activities of the hospital. Highly user-friendly to improve productivity at billing counters. Maintain billing transaction data in the cloud so any employee can see that data. Retail-Store Management Software with POS Billing, Inventory Management, Customer Loyalty Program, Financial Accounting, Payroll Management and Store Analytics.For retailers, who own a stand-alone retail store or a chain, Retail365cloud is ready-to-use Retail and POS software. Foodie365cloud is complete POS software enabled with GST billing feature. This software simplifies restaurant manager, Owner and employee work. Also, a restaurant owner can manage multiple branches at the same place. Using foodie365cloud restaurant owner will be aware of Restaurant current billing and any other transaction. This software also helpful for those users who want home delivery. Also, multiple transaction modes available to a client can do billing with any payment facility. Retail billing software with pos. Account, barcode, inventory and all core features of all retail business. Fully customizable as per need. We are a reputed entity in the industry, actively engaged with all kind of software and automation solution for all kind of businesses. By keeping our sync with the advancements taking place in this industry realm, we have been involved in presenting Online Billing Software. We always have the special center of attention toward the client’s detail. In addition to this, the offered array of software services is rendered using the latest technology within the limited period of time.